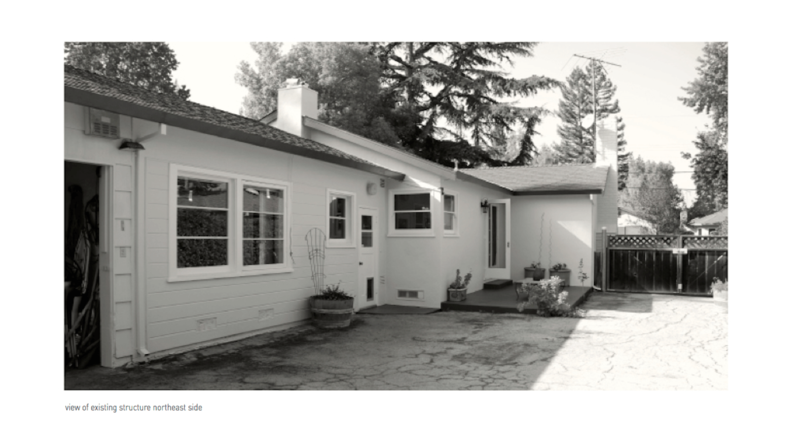 This project consists of a single-story addition and renovation to an existing mid-century ranch house in Menlo Park, California. Conceived for a retired couple, the open and accessible design integrates the living space with the rear garden to create a well-lit domestic extension. Comprised of two floating volumes, the addition formally designates the bedroom to the west and the main (common) space to the east. The two wings gradually diverge from the original structure to generate a glass-clad fissure in between. 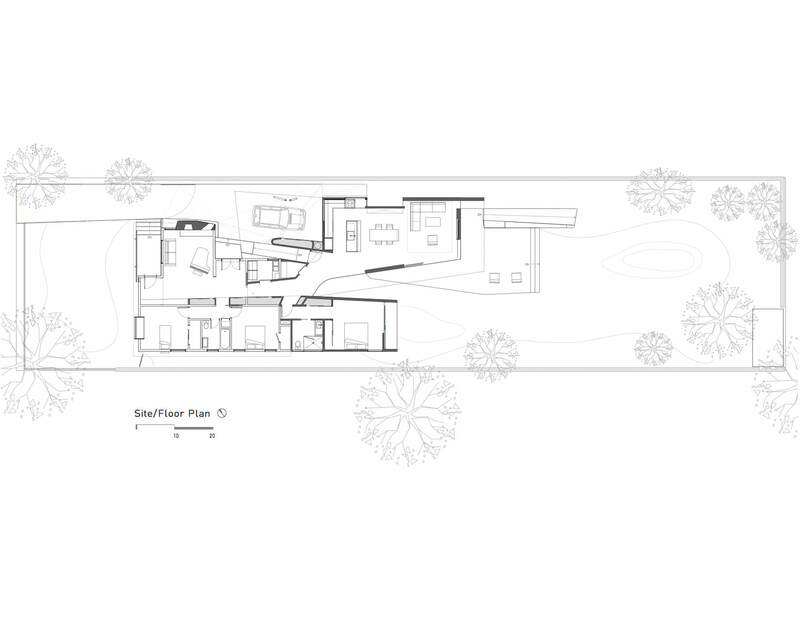 This void space pulls the garden inwards, injecting elements of the outdoors into the core of the house. The first is the bedroom wing/ volume, which is located on the west side of the house. The existing bedroom volume was extended toward the rear in the form of a wood tube to accommodate an additional bedroom. This bedroom volume opens out to the garden.